One day a couple months ago I was mindlessly scrolling through my instagram feed when I saw a shirt I just had to have. It spoke to my very soul. 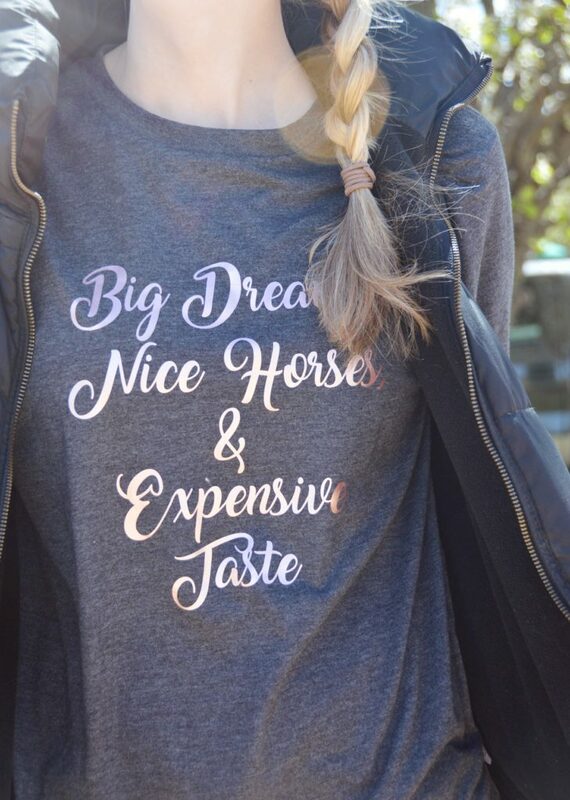 I had never heard of the company, Equine and Design, but I was sold on the t-shirt slogan alone. I’m glad I decided to pull the trigger and purchase it, because I LOVE the shirt. 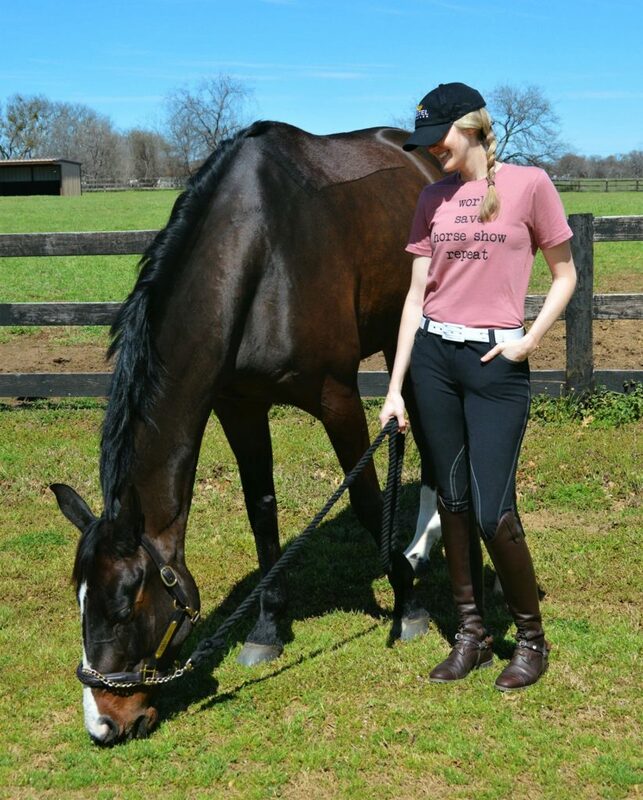 Equine and Design is a small business offering casual clothing and accessories with must-have equestrian slogans. I was thrilled with the overall quality and price point of the first shirt (nabbed it on sale for $13! ), so when I saw another must-have slogan in a great color combo (charcoal and rose gold) it was a no brainer. 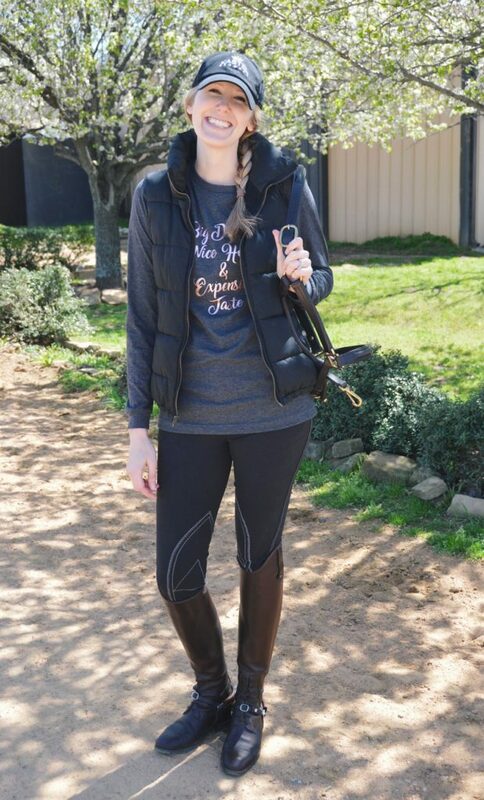 Arriving just in time for my ski trip, this long sleeve tee is the perfect relaxed fit for comfy lounge wear as well as an adorable barn look. The medium size is great for my tall frame, and I want to live in it due to the comfort factor. Super fast and FREE shipping, and great price points, means I will definitely continue to come back to this store. I also purchased 2 wine glasses, one for me and one for my bestie. 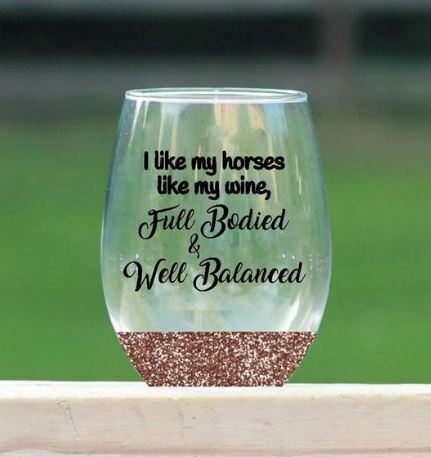 I can’t wait to use them at future shows and be the envy of my barn mates with their boring wine glasses ;). 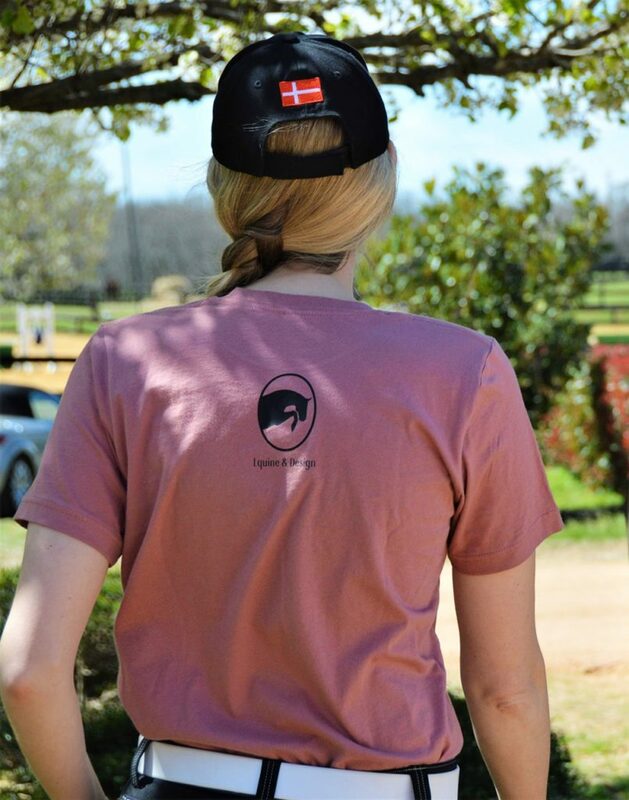 The backs of the shirts also have the Equine and Design logo, which I love and think i’s a great extra touch. 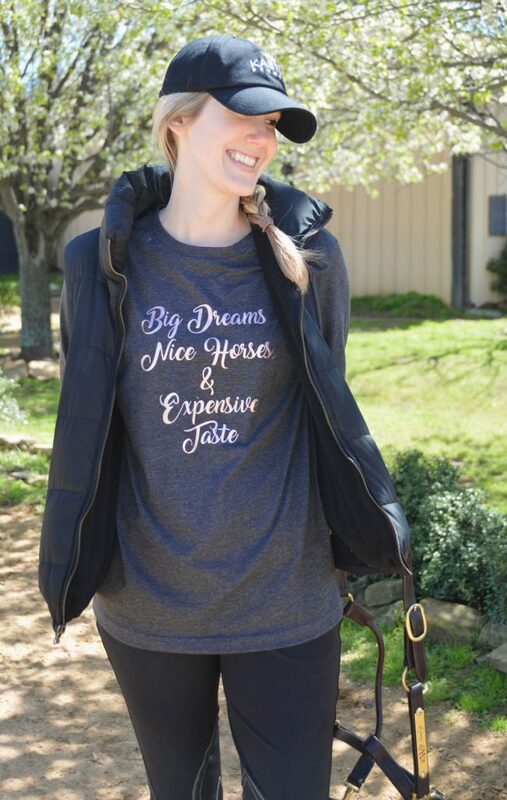 I absolutely love supporting small equestrian businesses, so I wanted to share the news about Equine and Design. 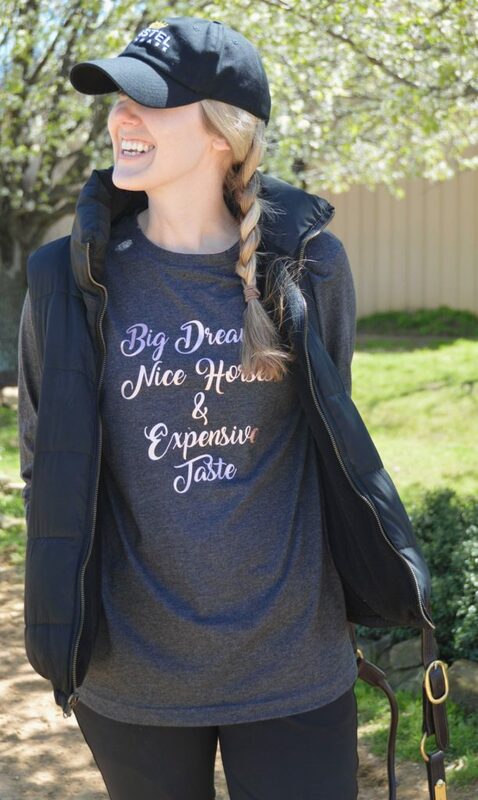 If you don’t see a design or slogan you are looking for don’t be afraid to reach out to them- I have seen some custom work they shared on their instagram and it was just gorgeous! 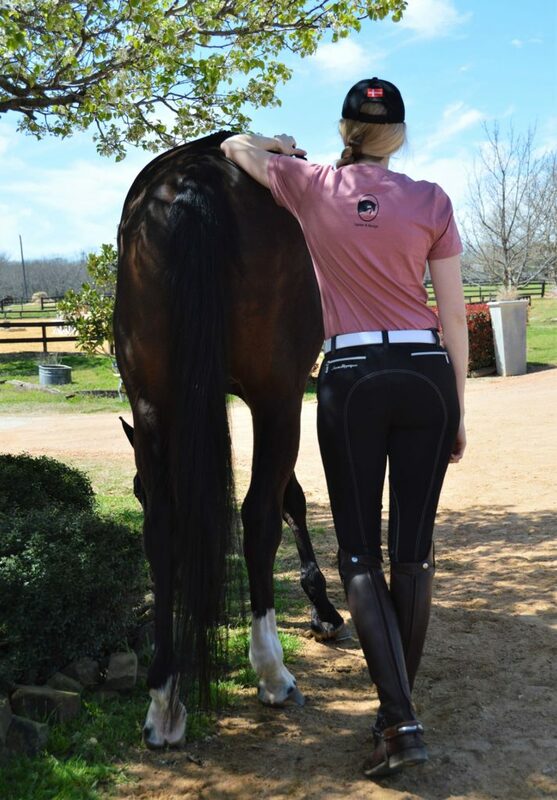 Some custom shirts with my monogram, Hunky Hanoverian logo, or barn name might be in my future! I had to get the #manegrabber and a wine glass. And maybe a couple half zips. Also, I recently got a cricut machine and can make these myself, but who has the time?! Hahaha it’s about time I was a bad shopping influence on you,it’s usually you on me! Btw I LOVE my Duftler belt! 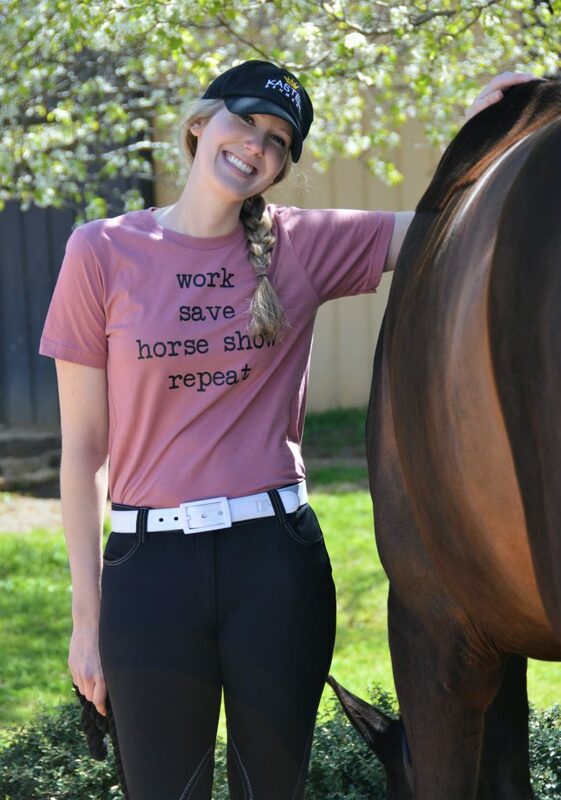 Love those shirts – the slogans on both are so true! Thanks for sharing the shop.